Custom Alloy Light Metals, Inc. manufactures and distributes aluminum and zinc casting alloys. It offers custom ingot for die castings, permanent mold, sand castings, investment castings, low pressure die castings, and slush castings; and recycled aluminum alloy ingots, specialty primary aluminum alloys, and zinc alloy ingots. The company also distributes primary aluminum casting alloys of other manufacturers. It serves foundry and die casting industries worldwide. Custom Alloy Light Metals, Inc. was incorporated in 1969 and is based in City of Industry, California. 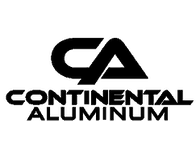 Imperial Aluminum produces secondary aluminum alloys with production locations to service the Southeast and Midwest. We recycle all types of aluminum scrap into the die cast and foundry alloys specified by our customers. We offer multiple shapes and sizes of aluminum ingot, sow, and deox cone for just-in-time delivery. We not only buy and sell metal, but we offer full service scrap handling, processing, tolling services and transportation as well. Give us a call. At Spectro Alloys, we don’t just sell aluminum – we provide solid sourcing solutions. Our market knowledge can help you save money and gain an edge over your competition. We offer a full range of AA specification die cast and foundry alloys, as well as lower cost alternatives like NASAAC and RSI. We service customers regionally and internationally, from one stack at a time to dozens of loads per week. State Metal Industries manufactures high-quality specification secondary aluminum ingot. We have been providing superior customer service since 1948. For more than a half century State Metal Industries has been an industry recognized supplier of standard and specification aluminum. A busy secondary aluminum source melting millions of pounds of scrap per month, State Metal Industries has an unwavering commitment to meet individual customer's unique needs. State Metal Industries processing, metallurgical and manufacturing expertise, and state-of-the-art technology have allowed us to develop long-term, successful business relationships with some of the best manufacturers in the U.S. and overseas. 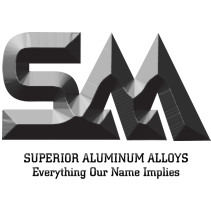 Superior Aluminum Alloys is a leading secondary aluminum smelter located in New Haven, IN. Founded in 1997 by OmniSource as an outlet for scrap aluminum collected through its operations, Superior Aluminum Alloys was included as part of the 2007 acquisition of OmniSource by Steel Dynamics, Inc. Today Superior Aluminum Alloys operates as an independent subsidiary with the full support and backing of both OmniSource and Steel Dynamics. Since its beginning in 1946, TST has evolved into a vertically integrated producer, buyer, trader and processor of aluminum scrap and dross. Today, TST is one of the major American producers of secondary aluminum ingot, billet and cast plate. TST is also a major distributor of primary aluminum foundry ingot, grain refiners and hardeners. Other services include worldwide trading of nonferrous scrap and other aluminum commodities. During her first assignment, she joined one of the leading Danish companies specializing in anodizing, where she was employed for three years, as a Quality Assurance & Development and Research Manager. time to exceed our client’s expectations. As a leading credit insurance broker, we represent all of the carriers who specialize in this unique coverage. Phinix, LLC provides technical & marketing consulting and research & development services for the primary and scrap based secondary aluminium (and other light metals and its alloys – magnesium, titanium and lithium) products and processes, recycling and sustainability. Phinix, LLC was founded by Dr. Subodh Das in 2008 after concluding his diverse and successful academic and industrial careers spanning over 45 years at the University of Kentucky, ARCO / Anaconda Aluminum Inc. – now Tri-Arrows, Alcoa. Phinix, LLC is an active member of the Aluminum Association (AA), Institute of Scrap Recycling Industries Inc. (ISRI), Registered Specialist for Aluminium Stewardship Initiative (ASI), American Foundry Society (AFS) , The Mining, Metals and Mineral Society (TMS), American Society of Metals (ASM) and North American Die Casing Association (NADCA). ProfitGuard is the leading provider of business credit information to the metals industry in North America. PG assists its clients with managing trade credit risk with valuable credit analysis provided by seasoned analysts, credit risk ratings, recommended credit limits, and risk monitoring of their customer portfolios. With PG's information services, companies are able to make more informed credit decisions, minimize bad debt losses, and more effectively manage credit risk to remain competitive in today's rapidly changing marketplace.